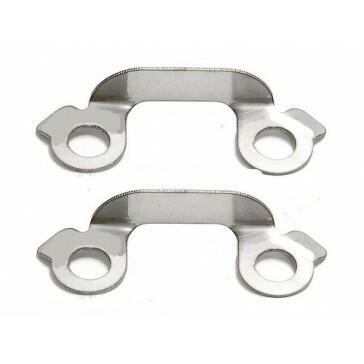 These are a high quality after market item, made by Siruda which should be used with installation of any T25 or T28 turbo. The locking tabs can prevent the nuts from backing out and ultimately resulting in exhaust leak and power loss. The old ones may not be strong enough to hold the nuts in after many removal and re-installation, so be sure to get new ones! For SR20 application you will require 1 pair, for RB26 application you will require 2 pairs. 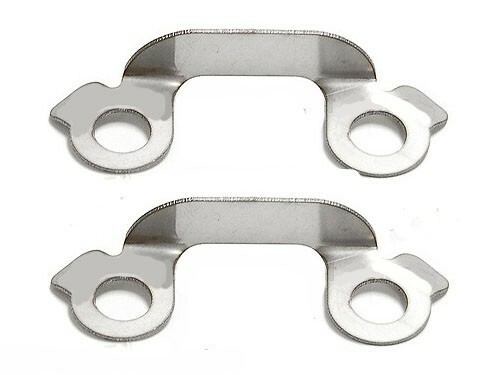 These tabs are sold as a pair.